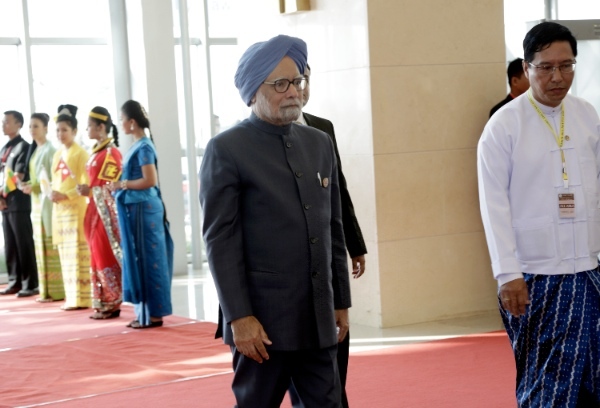 Indian Prime Minister Manmohan Singh on Tuesday urged greater cooperation among Asian nations to develop counterterrorist capabilities. Singh was attending a regional Asian meet of the BIMSTEC which comprises of Bangladesh, India, Myanmar, Sri Lanka, Thailand, Nepal and Bhutan. “Like our prosperity, our security, too, is indivisible- whether it is the security of sea lanes of communication in our region or the persisting challenges of terrorism and transnational crimes,” he said. India had, on Monday, strongly condemned the terrorist attack in China’s Kunming in which 29 people were killed and over 130 injured, saying New Delhi opposes terrorism in all its forms and manifestations. India’s External Affairs Ministry said in a statement that India strongly condemns the terrorist attack on innocent civilians. “We extend our condolences to the bereaved families and wish an early recovery to those who were injured,” said the statement. A deputy Commander of the Chinese Army had said last November that said that India and China “face similar threats”. Yang Jinshan, deputy commander of the Chengdu Unit of the PLA had described the joint anti-terror drills of China-India held last year as “training intended to exchange anti-terror experiences, enhance mutual understanding and trust, and boost cooperation between the Chinese and Indian armies”. Unlike China where incidents of targeted terror-related violence has been sparse, India has been among the most affected by terrorist attacks. The Global Terrorism Index – published in December 2012 by the US and Australia-based Institute for Economics and Peace think tank ranked India among the top four nations which has been a target of terror. New Delhi sought to highlight this at the regional meet in Myanmar on Tuesday. “The nature of the evolving threat of terrorism in the BIMSTEC region has imparted greater urgency for stronger cooperation to counter it,” Singh stressed. The seven Asian nations bring together over 20 per cent of the world population, which is about 1.5 billion, and a GDP of over $2.5 trillion. He also pushed for early ratification of joint treaties like “Cooperation in Combating International Terrorism, Transnational Organized Crime and Illicit Drug Trafficking” and extradition treaties. India, he said, was working with BIMSTEC members to improve physical connectivity through various projects such as the India-Myanmar-Thailand Trilateral Highway, the Kaladan Multimodal Transit Transport Project, the Asian Highway Network, the ASEAN Master Plan for Connectivity. “We will soon launch a direct shipping line to Myanmar that will enhance our region’s growing maritime links,” he said. The seven nations are also negotiating a Free Trade Agreement for trade in goods which could be extended to investment and services.